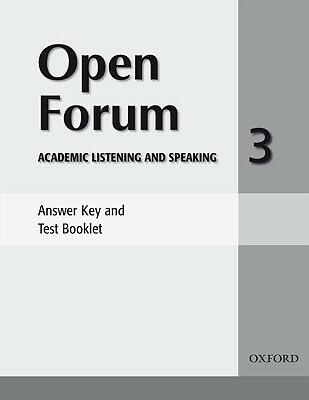 Open Forum is a three-level comprehensive series for the development of essential listening and speaking skills. The diverse listening selections-including lectures, radio interviews, news reports, and monologues-ensure a high level of engagement and discussion. In addition to the listening and discussion practice, Open Forum offers vocabulary and pronunciation strands that develop naturally out of the content.